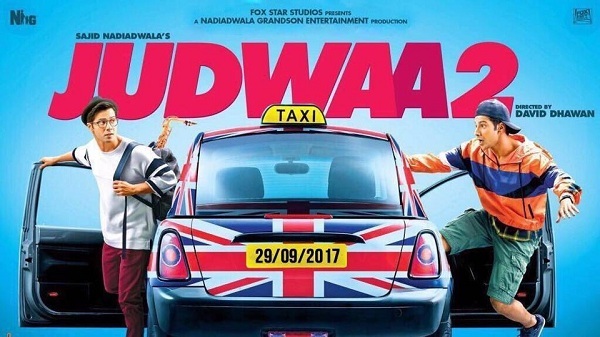 Judwaa 2 2nd Saturday (9th Day) Collection Update. Good Growth. Judwaa 2 is showing good jump on 2nd Saturday (9th day) at box office as early trends for the day is coming in. Judwaa 2 opened to around 20% occupancy in Morning shows. Film showed good growth in Noon to register occupancy of around 25-30%. Film has further registered jump in Evening and as per latest recording occupancy of around 35%. Night shows are not yet started. When samples of day 9 are compared to day 8 then there is a growth of 30-40%. This augurs well for rest of the weekend. Early trend suggest, Judwaa 2 9th day collection is heading towards 5.25-5.5+ crore nett mark. These are very early estimates and actual may vary. Judwaa 2 total business so far is approx 102 crore nett mark. Film will easily cross 110 crore nett inside second weekend and even go close to 115 crore nett by the end of day 10 with another good growth on 2nd Sunday.